Letter Signed, to Major Newman, about “some proposed investments of capital in Tripolitania”. 1 page 10 x 8 inches, folds, filing hole, in good condition. 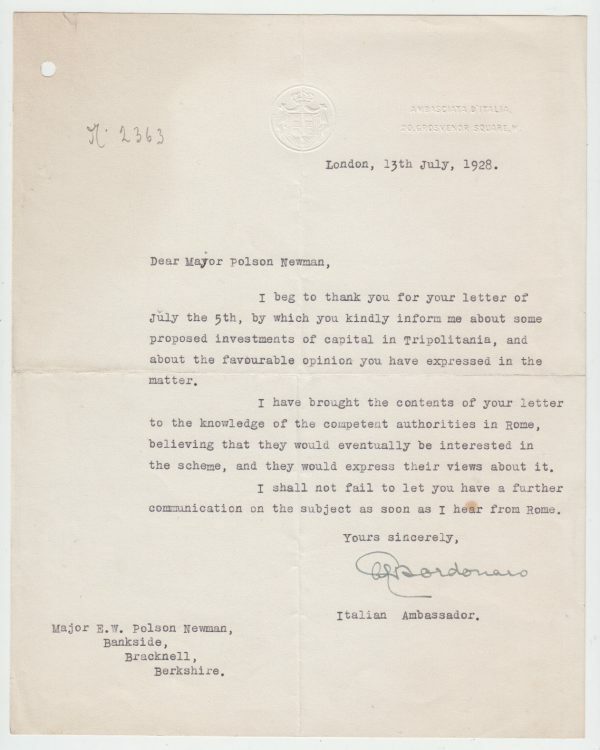 Ambasciata D’Italia, 20 Grosvenor Square, London, 13 July 1928. Antonio Chiaramonte Bordonaro (1877-1932), Italian Ambassador in London.